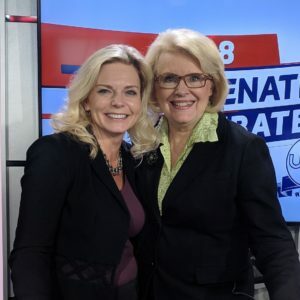 U.S. Senate candidates Sen. Tammy Baldwin and State Senator Leah Vukmir debated Saturday night in Wausau at a one-hour televised event sponsored by the WBA Foundation with funding provided by the Wisconsin Association of Independent Colleges and Universities. 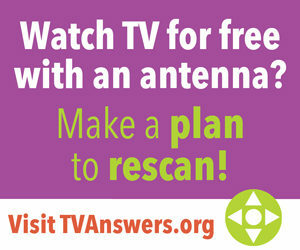 It was aired live or delayed by more than 80 television and radio stations throughout the state. 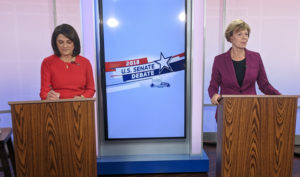 The debate was also shown live on national network C-SPAN and Wisconsin public affairs cable network WisconsinEye and it was streamed on at least 17 different websites. 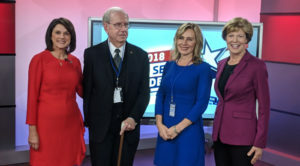 The debate was produced at WSAW-TV and moderated by Jill Geisler, longtime Wisconsin news professional, WBA Hall of Fame member, author, and Bill Plante Chair in Leadership and Media Integrity at Loyola University, Chicago. Panelists from the Wausau/Rhinelander market included Holly Chilsen, WSAW-TV; Chris Conley, WSAU Radio; Melissa Langbehn, WAOW-TV; Ben Meyer, WJFW-TV; and Jeff Thelen, WSAW-TV. 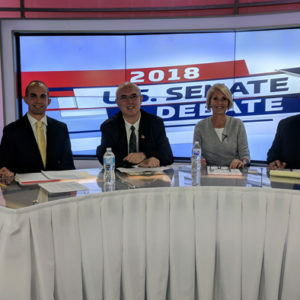 The candidates debated numerous issues including health care, marijuana legalization, immigration, tariffs, and the U.S. Supreme Court. The candidates also took questions from the audience through social media about climate change and abortion. 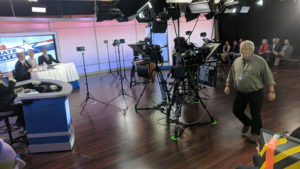 WSAW-TV’s Holly Chilsen posed audience questions from social media during the debate. The audience could submit questions through social media using the hashtag #wbadebate. The debate will be re-aired before Election Day on numerous Wisconsin stations. 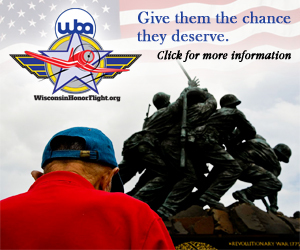 It will be archived for playback by C-SPAN, WisconsinEye and Wisconsin Public Television. The WBA Foundation is hosting a debate between gubernatorial candidates Gov. Scott Walker and State Superintendent Tony Evers on Oct. 19 at 8 p.m. in Madison. 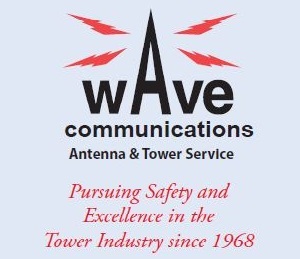 It will air live or delayed by more than 80 television and radio stations throughout the state. Check your local listings.